I can never refuse cute packaging; I literally gravitate towards it. 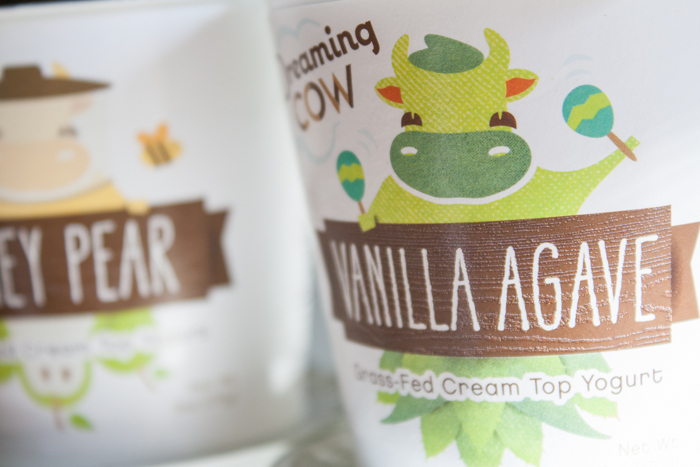 Although Dreaming Cow yogurt’s consistency is runny, I didn’t think it ruins the taste. I bought them at a local Safeway, which only carries four flavors. I recommend trying three of the four flavors (see below). 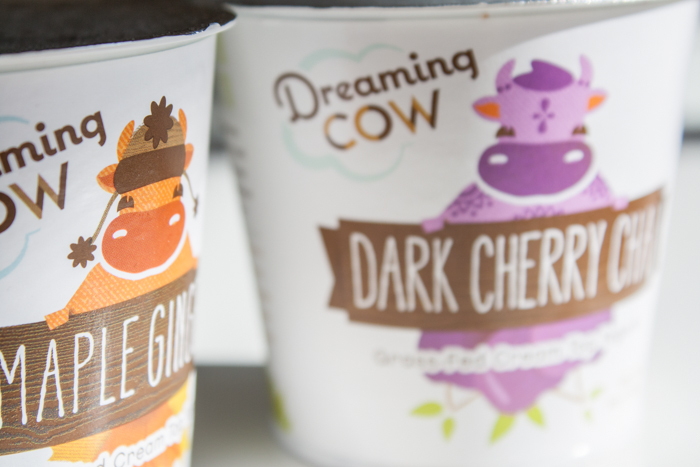 Visit dreaming cow website for more info 🙂 I hope they sell the other flavors soon! Honey Pear: Subtle pear flavor that is overpowered by honey flavor. Honey balances out the tartness of yogurt. Vanilla Agave: The flavor is neither bland nor too tarty. If you want to try something safe and nothing too exotic, I recommend trying this flavor. Maple Ginger: I wish I could add more maple syrup, but I didn’t have any at home. I wish I could finish it like the others, but I couldn’t. I was never fond ginger, and I was expecting the yogurt to have more of a maple taste with literally a day of ginger. Nope. If you’re a fan of ginger, then this flavor is for you. Otherwise, stay far away from it. Dark Cherry Chai: Hints of spice complements cherry flavor. It doesn’t taste like the cherry flavor you find in medicine either.